Having collaboration with a headhunter can have numerous potential benefits for a professional. Most significantly, it delivers a clear route to a recruitment manager’s attention. Furthermore, a headhunter can always give valuable insight into what companies on the market are looking for, instructions for positive interviews, and also guidance on wage negotiations. Is the CV shared on all the right networks so that the chances of getting a referral are increased? Is the candidate’s social media professional and safe for work? Does the candidate have a personal website? In addition to answering and addressing these questions with utmost professionalism, a candidate must also have a LinkedIn profile with all the attention-grabbing keywords that bring to light his or her experiences and activities. Asking associates and acquaintances with whom they have collaborated with in the past. Taking the advice of a career coach for references. Asking HR professionals for referrals as they often partner-up with such agencies. Searching comprehensively for ‘recruiters’ or ‘headhunting agencies’ on LinkedIn/Google. Check out the websites of major agencies online to collect all the essential info on whether or not their skills are useful. Also, look into these agencies’physical reach. Some operate countrywide while others are local. Professionals must set reminders on their calendars to check in with the headhunting agency on a regular basis. Regardless of whether or not a candidate is being considered for a job position and even if the recruitment procedure seems to be tedious – reaching out respectfully to ask for updates is the best way to go. Recruiters usually have to deal with hundreds of applicants spread across numerous job roles that they have to fill. It is the duty of the candidate to make sure that he or she doesn’t get lost in the running. Once a professional finds the correct agency that fits his/her industry, location of operation and industry level – the process becomes easier. All he or she must do is be courageous and reach out on a constant basis. Researching headhunters on LinkedIn and reaching out to the most experienced ones is all it takes from thereon. 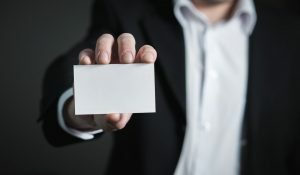 As one gets well-heeled when it comes to adding headhunting agencies to the overall job hunt tactic, the need to take everything in its stride, not taking anything personally will become imminent. It is here where the professionals need to distinguish headhunting as just a valuable tool that can help them land their dream job.